Kwara State Polytechnic [KWARA POLY] Full Time National Diploma [ND] Post-UTME Admission Screening Exercise, Entrance Examination Schedule for 2018/2019 Academic Session. [Cutoff Mark: 150], Eligibility and Application Guidelines. Authorities of the Kwara State Polytechnic invites all candidates who have applied for admission into the Institution’s various National Diploma (ND) Full-Time programmes for the 2018/2019 academic session to register for the Post-UTME screening exercise. 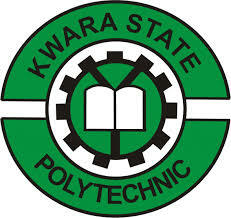 Candidates must have chosen Kwara State Polytechnic as their first or second choice and scored a minimum of 150 in the 2018 UTME. However, for the following programmes, the candidates must have scored the marks indicated against them as follows. Any candidate with Lower Scores should not apply. Kindly log on to the Kwara Poly admission screening portal via https://kwarapolyportal.org/appo.php.